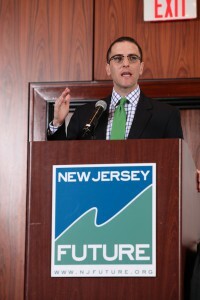 Seth Pinsky during his keynote at the Redevelopment Forum. Why would a group of redevelopment professionals from New Jersey care about what made New York City’s economic growth so robust over the last 10 years? Because, said Redevelopment Forum 2014 luncheon keynote speaker Seth Pinsky, the ways in which New York deployed what he called its “basket of development policies” have lessons not just for New Jersey, but for any jurisdiction. Discretionary tax expenditures are not enough to move the needle in terms of creating jobs in a large economy like New York, or indeed New Jersey. They should be “an ingredient in the stew,” he said, but “not the main course.” Instead of focusing on individual businesses, he advocated concentrating on ways to create a compelling environment where businesses will seek proactively to locate. Keep up with your infrastructure. Pinsky noted that in the 1970s and 1980s, New York had stopped investing in infrastructure – pipes, wires, roads, and transit – and said it has taken decades and billions of dollars to bring New York back to a level competitive with other major urban centers. Good infrastructure is a key ingredient for sparking development, he said. Get resilient. He cited New York’s efforts to improve its ability to able to handle severe weather such as Superstorm Sandy as a key step in attracting investment. Businesses need to know that someone is looking toward the future and planning to manage inevitable, and in many cases predictable, events. “The magnetic infrastructure of amenities.” Pinsky includes in this description everything from schools to cultural institutions to public spaces, such as New York’s High Line, that, regardless of scale, will increase the value and investment attractiveness of adjacent real estate. Housing, housing, housing. Boosting the housing supply and variety, especially in neighborhoods near employment centers, will allow a broad variety of people to live near both work and good amenities. 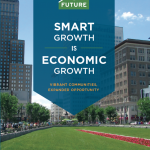 Build a 21st-century economy. Identify industry sectors that are key to the region’s economic vitality, and invest in their survival by helping them make the transformation from legacy 20th-century organizations into the 21st century. Maximize your potential in key sectors. If there are industry sectors in which the region has particular concentration but isn’t drawing as much investment as it should, analyze what is needed in order to draw the top-tier companies in those industries. 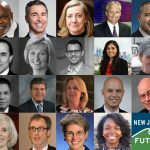 For example, as the pharmaceutical industry changes, are there things New Jersey could be doing to retain its pharmaceutical companies and help them expand? Copy other world-class economies. 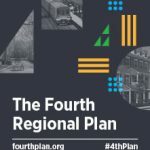 If other regions with a similar profile are doing better economically, figure out what their key strategic assets are that are lacking locally and direct investment into building those up. In closing, Pinsky emphasized that these are strategies that can and should be examined and adopted in New Jersey. New York’s growth, he said, can provide both a great example and a great opportunity for other nearby jurisdictions, and the success of one can enhance the success of the other.